The nomadic jungle-funk duo from Lawrence brings the funk for their first full-length album. 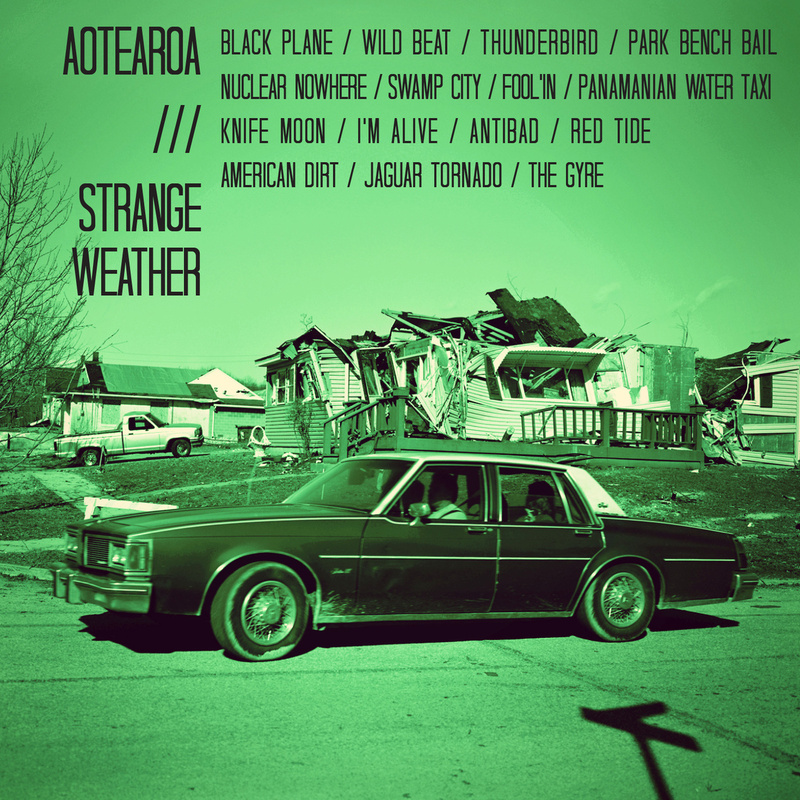 Aotearoa (A-O-TAY-UH-ROW-UH) travels the country enticing bootys to shake and their album Strange Weather provides the songs to make that happen. The smooth vocals of “Black Plane” start the record off right before faster and funkier tracks like “Panamanian Water Taxi” sink their teeth into you. “I’m Alive” sounds like Rage Against The Machine sans the anger and “Red Tide” sounds like an outtake form The Clash’s Combat Rock. Intoxicating choruses and consistently creative beats lace the record making it never lose its sheen. This entry was posted in Local Album Reviews and tagged album at a glance, album review, Aotearoa, Funk, Kansas, Lawrence, review, Strange Weather. Bookmark the permalink.